Meet an organization close to the heart of Texas Creative for decades: the nonprofit organization chartered as the official Friend’s group of the San Antonio Missions National Historical Park. 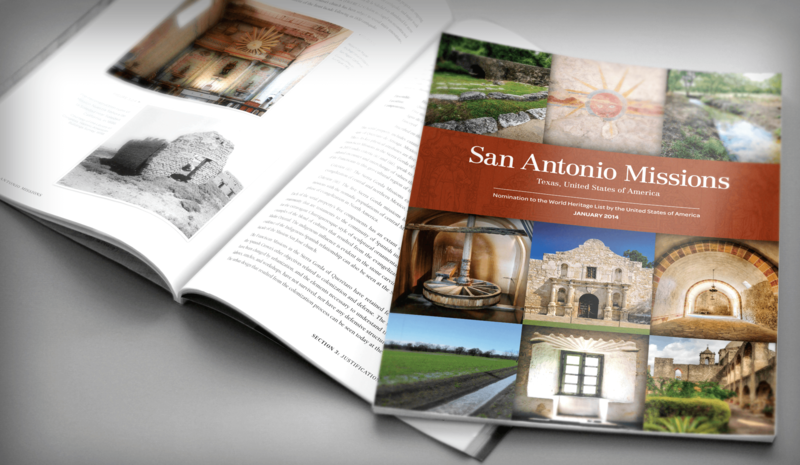 As a longtime friend of Los Compadres, the group approached Texas Creative for help during the long process of applying for UNESCO’s World Heritage Site inscription for the San Antonio Missions. The Park received a World Heritage designation on July 5, 2015, joining world treasures like the Statue of Liberty, the Taj Mahal and the Great Wall of China. 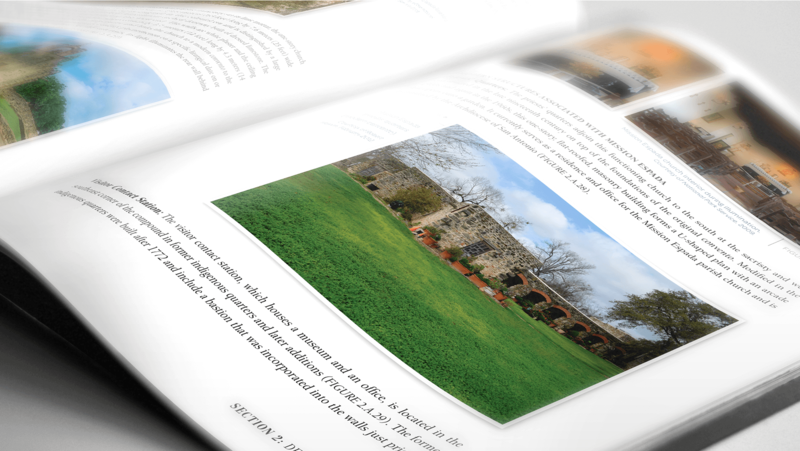 Working closely with the lead writer, map creators, photographers, historians, and national park rangers, Texas Creative designed the 344-page nomination book. The finished piece played a key part of the Park’s acceptance as a World Heritage Site. 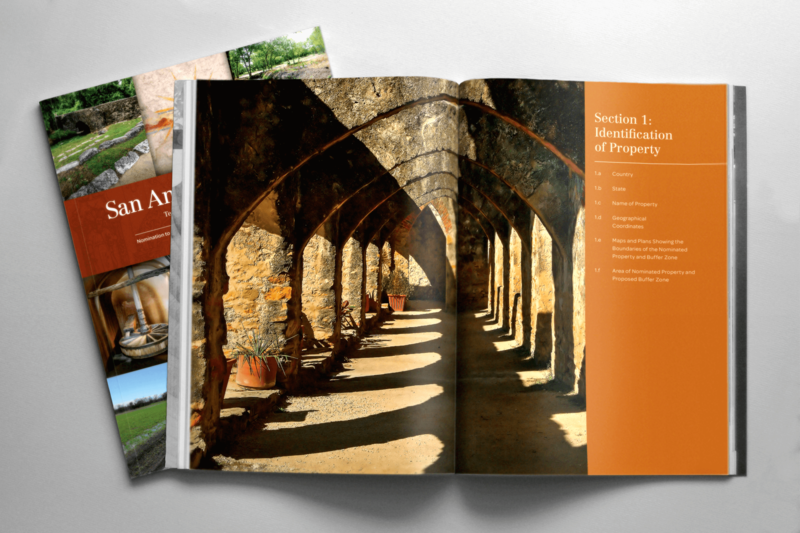 Design and production of the book was an 18 month process, on top of years of research, writing and mapping by the Los Compadres team.